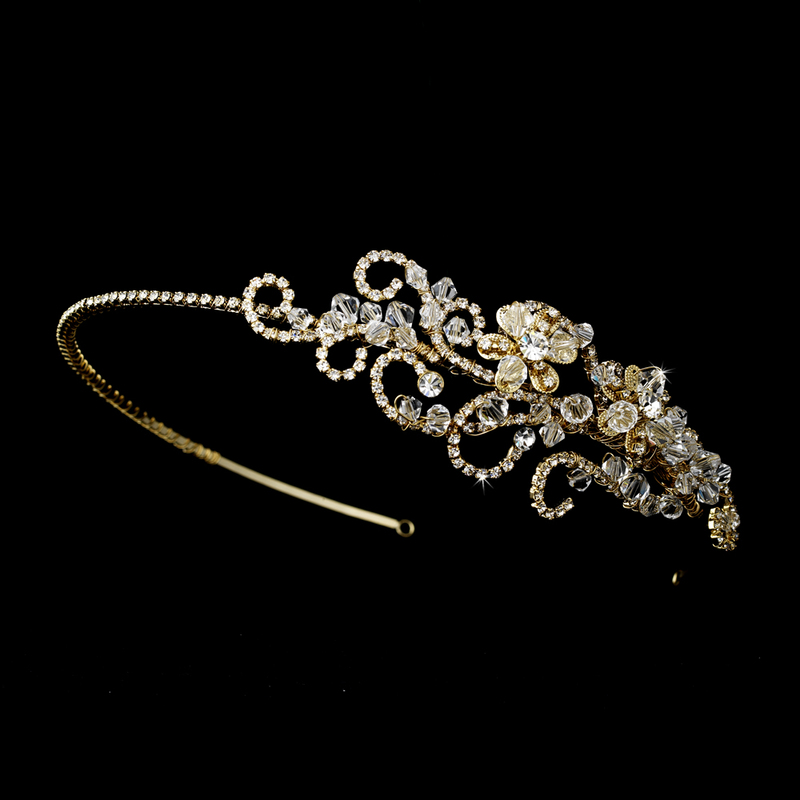 Available in 2 colors – Gold and Silver. 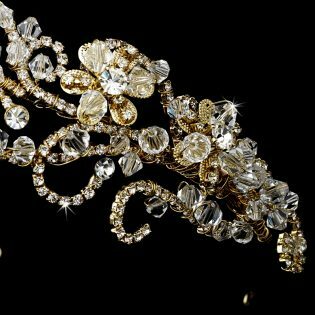 The Elegant Swarovski Rhinestone Flower Headband is a simple and elegant bridal headband that is featured in a beautiful gold or silver-plating. 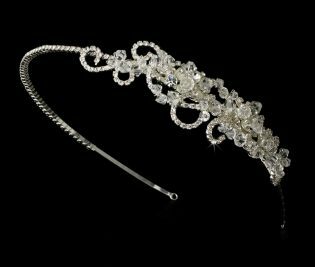 It is covered with sparkling Swarovski crystals and stunning rhinestone flower-accenting components that sparkle radiantly. 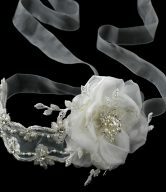 This beautiful flower headband is a modern twist on the classic bridal headband, and it is the perfect accessory for the bride herself, the bridesmaids, or even for the flower girl. 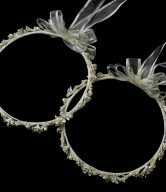 Saying “I do” will be even sweeter with this intricately designed headband. 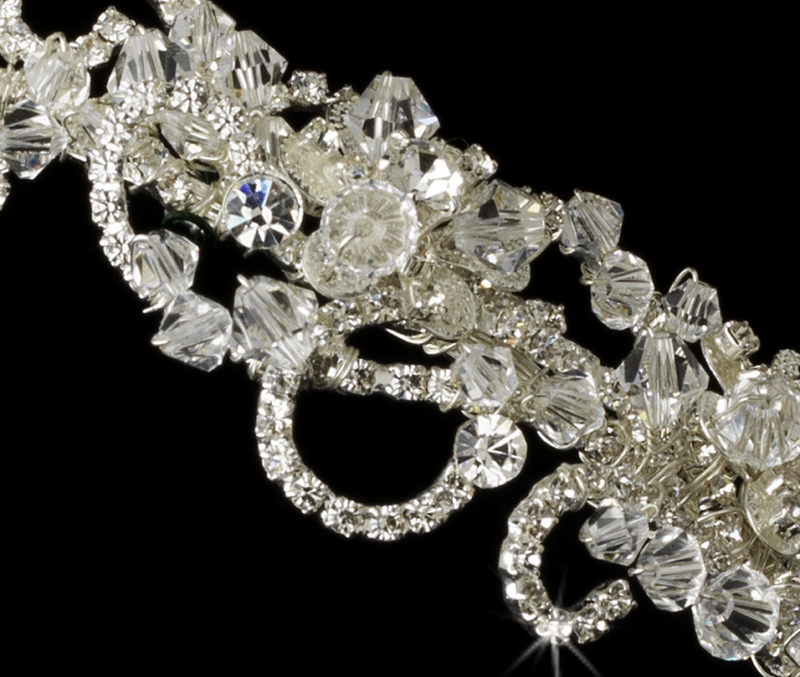 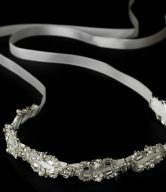 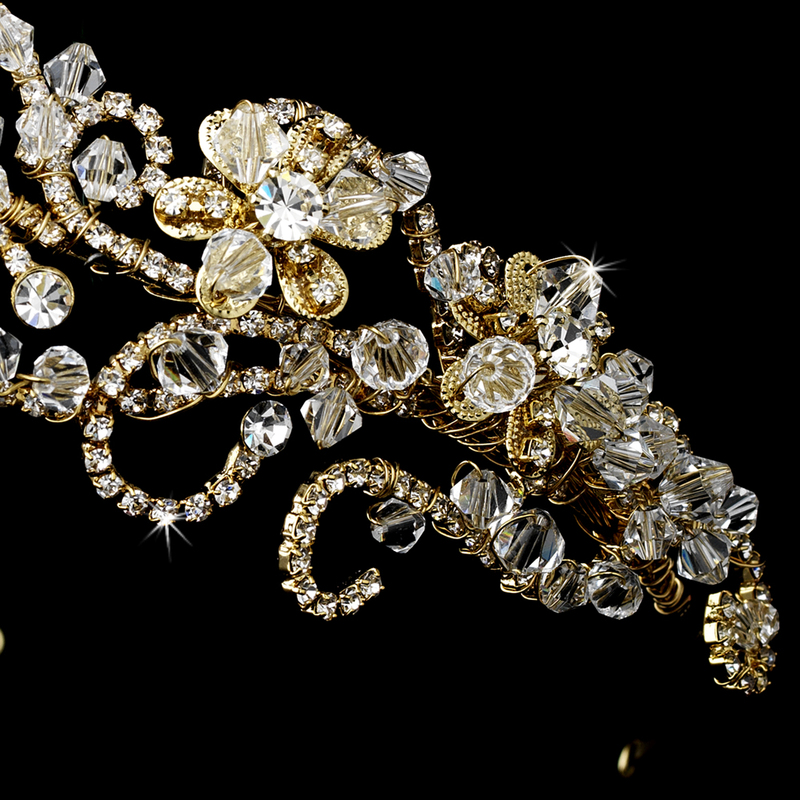 The Elegant Swarovski Rhinestone Flower Headband can also be used for any other special occasion. 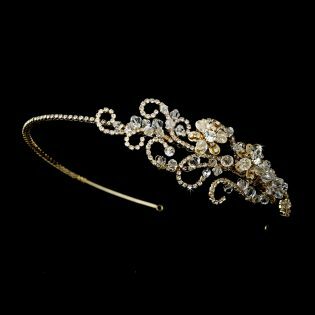 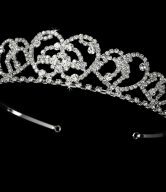 The headband is available in two colors – Gold and Silver, and the ornamented portion of the piece measures 5-1/2″ wide and 1″ tall at the peak.